The legacy of one of East Lothian’s most famous sons is to be immortalised through a five-metre high steel bear. 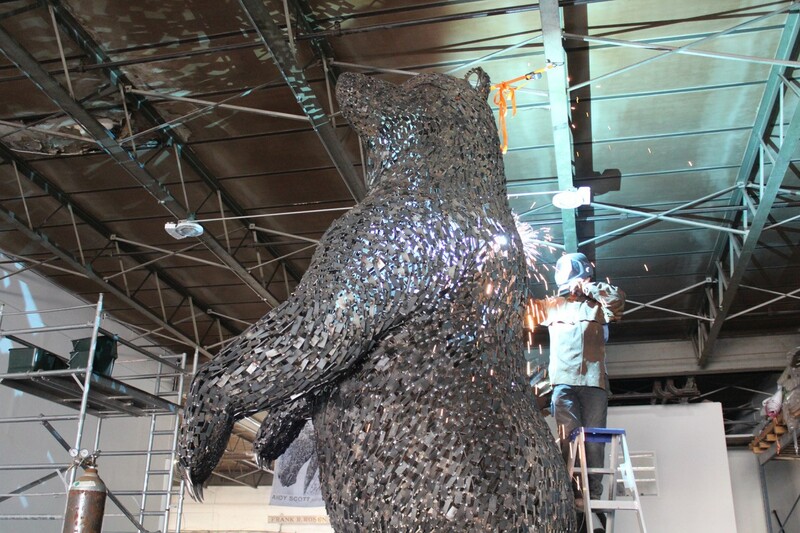 Sculpted by renowned Scottish artist, Andy Scott, the man behind the Kelpies and other well-loved sculptures, the first images of the bear being constructed in the workshop have now been unveiled. Commenting on the final granting of permission, he said: “It is fantastic that we have now been given the green light to create this sculpture in memory of such an influential character as John Muir, especially given today’s environmental climate. Ken Ross from Hallhill Developments added: “We are delighted that the Scottish Government has approved this fantastic piece of public art and are actively engaged with Andy to get the bear erected in Dunbar in spring 2019.